China Doll is one of the few Chinese restaurants in Sydney to have been awarded a chefs hat, the others that come to mind are Mr Wong, Spice Temple and Billy Kwong. 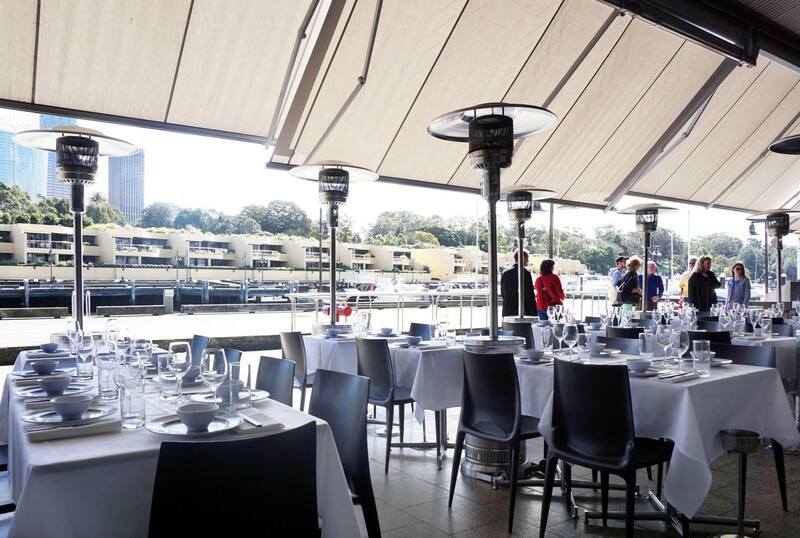 Miss K and I regularly visit the finger wharf at Woolloomooloo to dine at various restaurants, each time we walked past we couldn’t help but notice that China Doll was almost always completely booked out even on weekday nights. 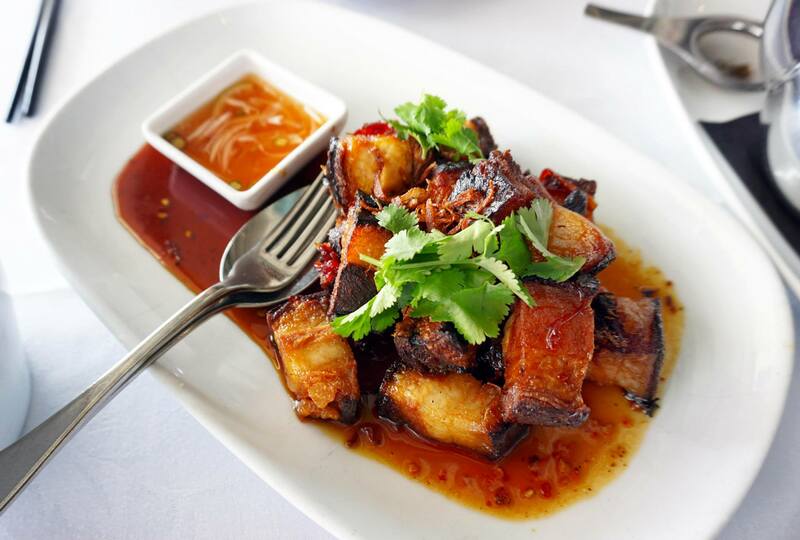 Every single time China Doll is mentioned in any conversation the pork belly dish is always raved about as one of the best dishes on the menu. The pork belly is actually one of the best I’ve ever had in my life and I’m finding it hard to describe – just look at the photo! It’s cooked to perfection with a little bit of crunch and distinct sweet yet spicy taste, the chilli sauce dip is the perfect accompaniment. The menu is filled with delicious sounding dishes and I was forced to make a decision as we’d only be able to fit in another dish or two at most. The final decision was a toss up between the panang curry or the tea smoked duck, no regrets here because the duck was amazingly tender and the tea aroma is very distinct. A colleague of mine at work also mentioned that the scallops were amazing here so we decided to order some partly because we were craving scallop. 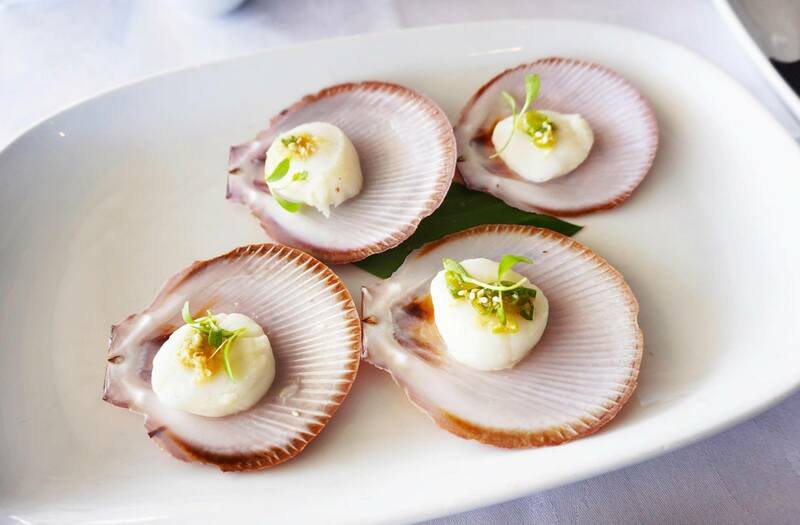 The Queensland scallops are a little different to what we’re used to in a good way. The scallops have a slightly more mute taste but the texture is more ‘meaty’ and satisfying, the ginger and shallot gave it plenty of flavour in any case. 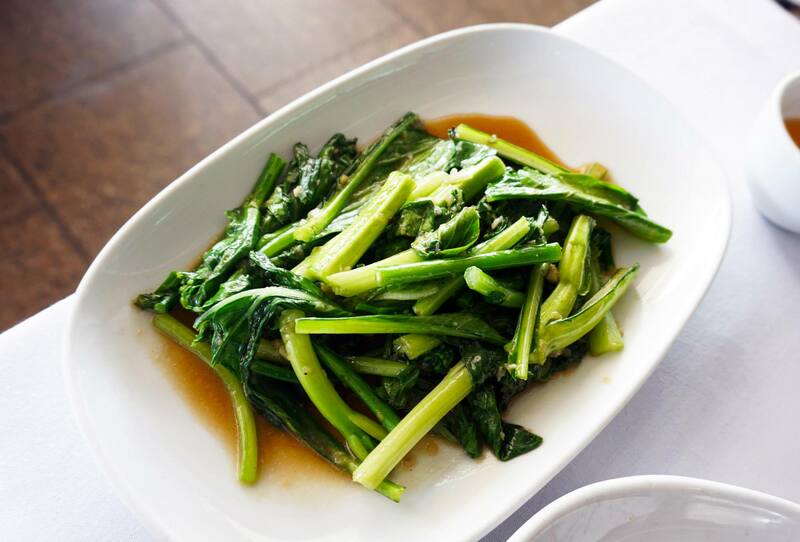 It’s not hard to see why China Doll is so popular, I’d have to rate it as one of the best restaurants for Chinese cuisine in Sydney albeit at a premium price point. Then again it’s not a whole lot more expensive than some of the Chinese restaurants in Chinatown. One potential downside is the lack of choices in the menu, it’s limited to two pages compared to the textbook sized menus we’re used to. On the plus side the dishes are very distinct and are so good I don’t know why anyone would complain – I could order the pork belly every time! Cannot believe I haven’t checked this place yet! I just live a short stroll away from that restaurant! The tea smoked duck looks beautiful. I like how they made and presented the scallops, but pork belly’s hypnotism is irresistible to me. All looks very tasty! 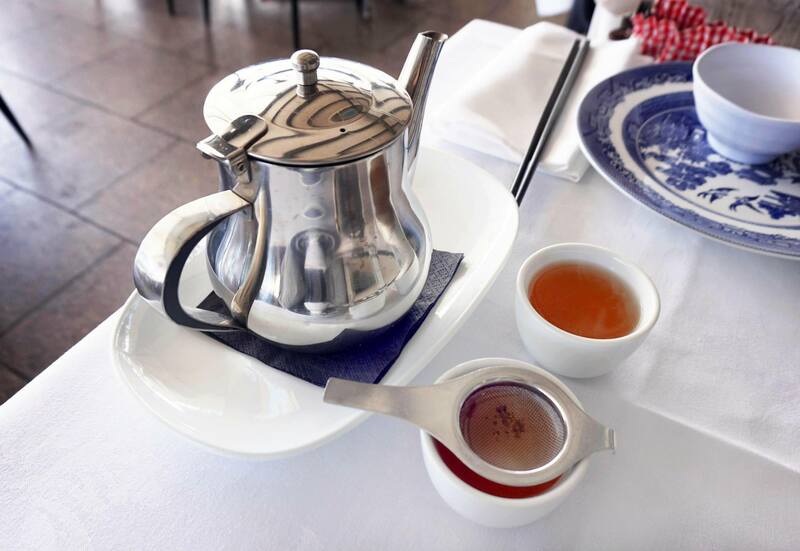 I really do love China Doll – the tea smoked duck and scallops look divine! im a sucker for steamed scallops! 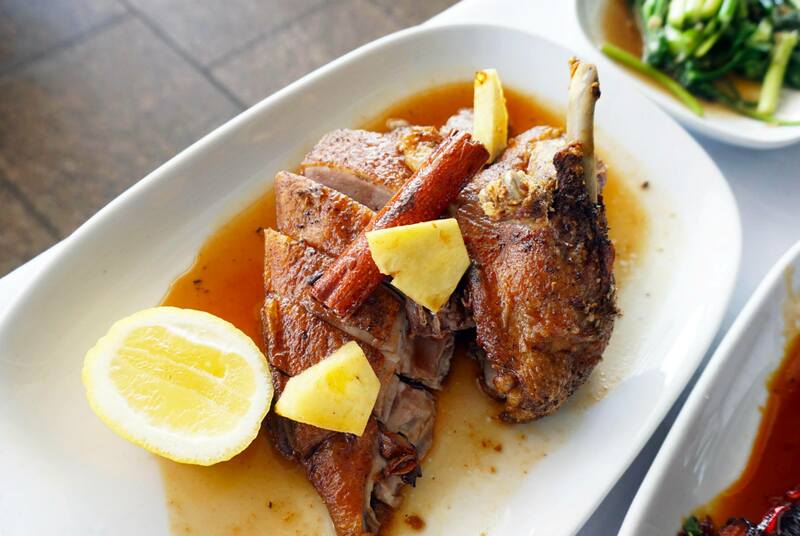 I love tea-smoked duck. Always so aromatic! that pork belly looks incredible!